10 Ways To Help Achieve Your Blackbelt! Training for a blackbelt is no easy task. It requires dedication and a lot of hard work. Here are ten pointers to help keep you focused and motivated in achieving that blackbelt. Training for a blackbelt is no easy task. It requires dedication and a lot of hard work. 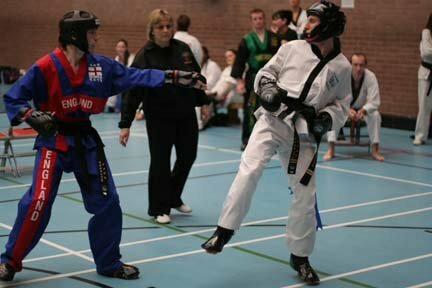 Most systems usually take at least three years to go through the grading structure, for example from white to black in Taekwondo. Here are ten pointers to help keep you focused and motivated in achieving that blackbelt. Is it the case that you are looking too far ahead? What is important is that you focus on getting that first hurdle out of the way. You must really work hard on the basics and build a solid foundation on which to grow. 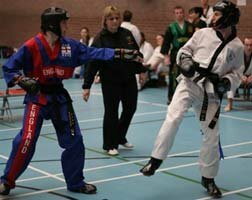 Therefore spend time on the simple techniques that you are shown first - having solid basics is the core for achieving a blackbelt in any system. If you are not feeling 100% in training and your energy levels feel low, it may be the case that you are training too hard. It may be however, that your body is simply reacting to all together different stresses. Good examples here could be over work, poor diet or perhaps even emotional stress. Take a step back and review the way you live your life. Remember though, don't give up. Being in the right class environment that you will enjoy is important in keeping motivated for that blackbelt. If you are the type of character that enjoys sparring and participation in the competitions, but your class structure revolves around form work and self defense you need to make changes. Either suggest to your instructor that you would like to do more sparring (make sure you are respectful and your instructor should welcome feedback) or it may simply be the case the class is not right for you. My trick to get through a particular hard training session is to visualize how I will feel at the end of it. Be positive and imagine how you will feel during the cool down, knowing that you have maintained maximum effort throughout. Looking long term, visualize how it will feel to put that blackbelt on and the respect you will get from fellow students. 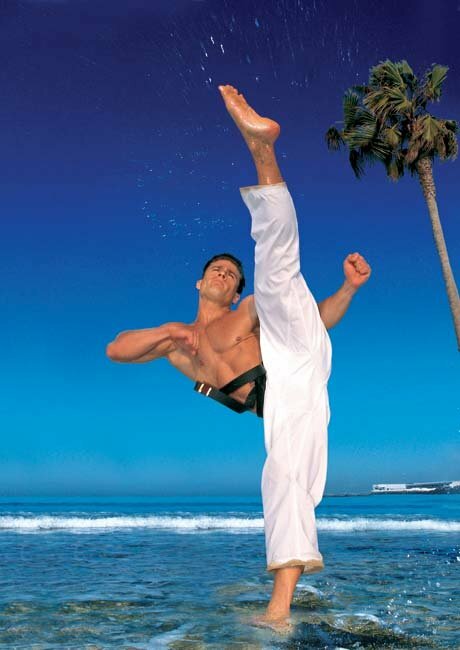 The one simple fact you should remember is that a blackbelt is only achieved through hard work and commitment. It is difficult when it's summer and you sit at home dreading the thought of working out in high temperatures, like wise it may be freezing and you have decided to tuck up and watch television for the evening. Resist the temptation! Students who train at least twice weekly whatever the elements, will be the students who achieve their blackbelt. Whether it be to run that extra mile or perform a multiple kicking combination, it is vital to set achievable goals. Maybe start with five goals that you want to achieve in a 6-month period. Get an A on your next grading. Do 70 push-ups in one set. Win gold at the next tournament. Train an extra session a week. Eat a more balanced diet. Remember to keep it simple and don't set yourself unattainable goals. 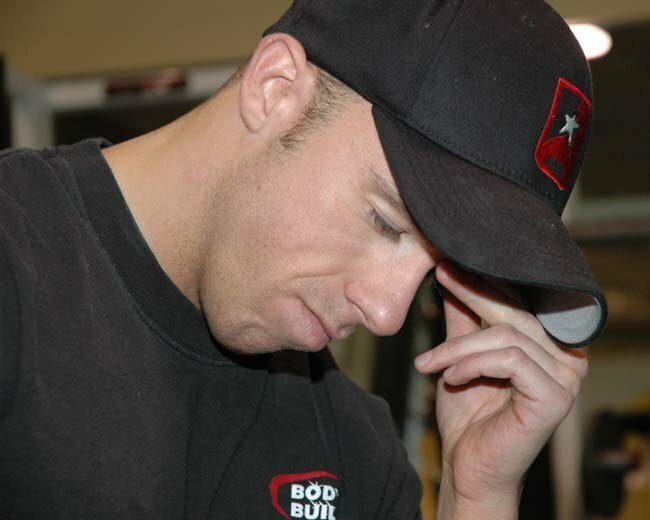 You may be in a situation where you feel bored with training. You are training twice per week at your club with a gym session in between yet you don't see an improvement and your interest is just not there. Assess your weekly routine, perhaps try some cross training or seek the advice of a trainer at the gym. Shake Down That Old Routine. You need to ask yourself on a regular basis, am I learning? Sometimes you reach a plateau in your training and the simple fact is your not progressing. You need to distinguish between what you are experiencing and what you need to experience, then make changes accordingly. If you really want to achieve that blackbelt you should be looking to do at least 5 hours per week. If you know that particular week you may not be able to make the class time look for other ways to make it up. Perhaps do a 20-minute training session working your techniques or forms before you go to work. That way on a weekly basis you are constantly training the mind of the respective techniques and forms you have to know. What is the main reason why you train? The attitude you need to have is that you want to stay committed and dedicated not because you have to, but because you want to. To get to that blackbelt you have to train hard and make sacrifices so it's important to reinforce the values of your training. ME.